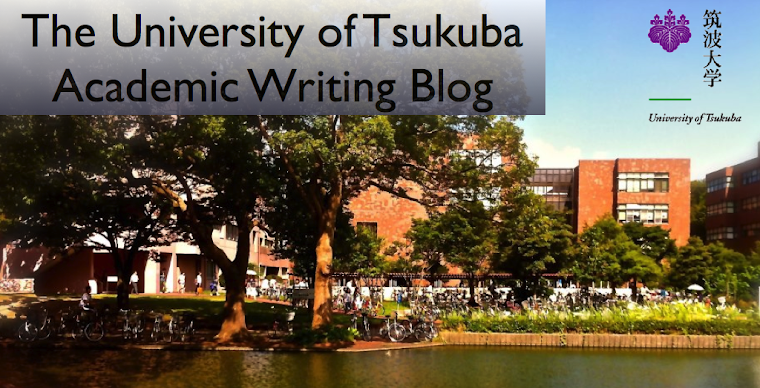 The University of Tsukuba Academic Writing Blog: My life at the University of Tsukuba by Aoi. My life at the University of Tsukuba is the best! I think that the university has the most beautiful environment in Japan. I live in Kawaguchi City in Saitama and commute to Tsukuba from there. Because Kawaguchi is nearby Tokyo, I can enjoy shopping, playing, meeting friends and so on. However, I cannot see the green of the trees. Tsukuba has very beautiful natural surroundings. It takes about 2 hours to commute to Tsukuba from Kawaguchi. To commute every day troubles me. Thanks to this good environment I enjoy my university life. I like basking in the sun on the lawn in front of the university central fountain with Starbucks' coffee. I cannot bask in the sun at a campus of other college. In addition, the campus is very large. This is also one of the reasons for my great life. In spring, Tsukuba is a good place for a picnic, cycling and so on. In summer it is not so hot. In autumn, colored leaves are very beautiful. In winter, stars are seen very clearly because it is dry and the town has few outdoor lamps. In Tsukuba, I can feel the change of the seasons. My life at Tsukuba university is nice for the reasons stated above. I like the beautiful environment too. I haven't bask in the sun at this Univ yet. Shall we do if you don't mind ?